Having a vision is important in whatever endeavor that we wish to pursue, because the ability to visualize our goals will make the actualization of that vision a reality. My vision for our learning place or club or center was a homely place where parents and kids come together for meet-ups – play, cook, eat and share ideas for projects or activities. Shelves of books line the walls for easy retrieval and everyone. Parents act as facilitators rather than teachers. And kids of different ages play, learn and work together as a team and a family. Yes, there is work to be done like sweeping and cleaning the place, composting, planting and maintaining the garden. Fixing and painting work. They are all part of their education. 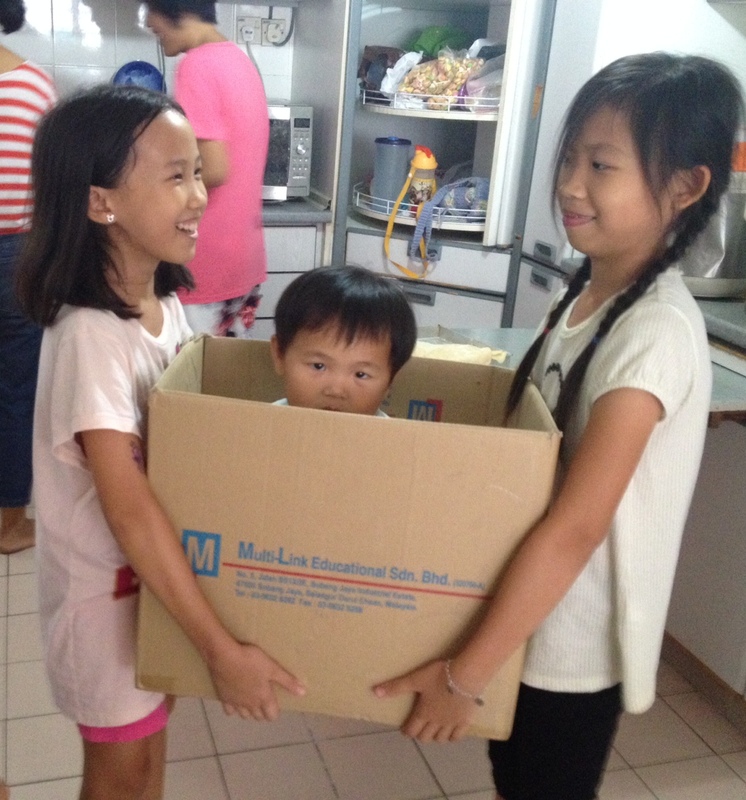 After we moved out of our initial borrowed place at a shop lot unit in Kota Kemuning, I knew we needed to move into a house – a place we could call home for our community homeschooling. But there were so many “What if’s” from various well-meaning people. What if the neighbours complain? What if the authorities find out? What if the rental is too high? But being die-hard optimists that we are, we did not let this stop us. And so we went ahead in search of the right place to continue growing our idea of community unschooling. I believe that things will present themselves to us when our mind is clear and hopeful. And it did! We found a nice house with a small garden but a large kitchen and we furnished the living room with shelves and shelves of books, from our own collection as well as from friends who knew about our community unschooling center. And with the commitment of 4 other families to share out the cost of rental and other expenses, we were ready to continue fulfilling our vision of a free and child-directed learning space where families can call their own and parents play the role as facilitators and initiators of child-centered activities. Our vision was realized – we found our second home!